Online Store Celebrates It’s 1st Year ! Fill out a purchase order and pay with PayPal security or just complete a purchase order form and wait for an email from Paypal that has banking details for you to bank transfer funds. You’ll also receive an invoice from us at Ewingsdale Coffee, letting you know we are aware of your intention to buy one of our products. All parcels will be sent on confirmation of payment. 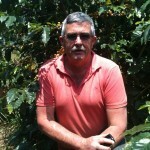 I saw your article in Country Style and decide we would like to try an Australian grown coffee. Looking forward giving your different blends the taste test. Just placed my second online order for your Estate blend coffee.Beautiful smooth coffee no bitterness just a lovely latte.Found your article in Country Style and so happy to buy Australian coffee that is so good. Cheers keep up the good work. The coffee arrived this morning .What absolute pleasure to drink after running out of Ewingsdale Coffee and having a weekend of drinking lavazza. Your coffee is pure delight, can drink without sugar . Thank you, be in touch . Helen, after trying a variety of bean blends, settled on the Estate. Take advantage of our bonus pack offer if your not sure which blend to buy. For $52 (includes delivery), you receive 500g Estate Blend, 500g Cafe Blend and a bonus 200g Dark Roast Roast. My wife and I have been using Ewingsdale Byron Blend (gold packet) to make plunger coffee for around 5 years now. It has become our daily morning ritual to use around a table spoon of the coffee per person plus one for the pot to brew a pot of coffee upon waking. 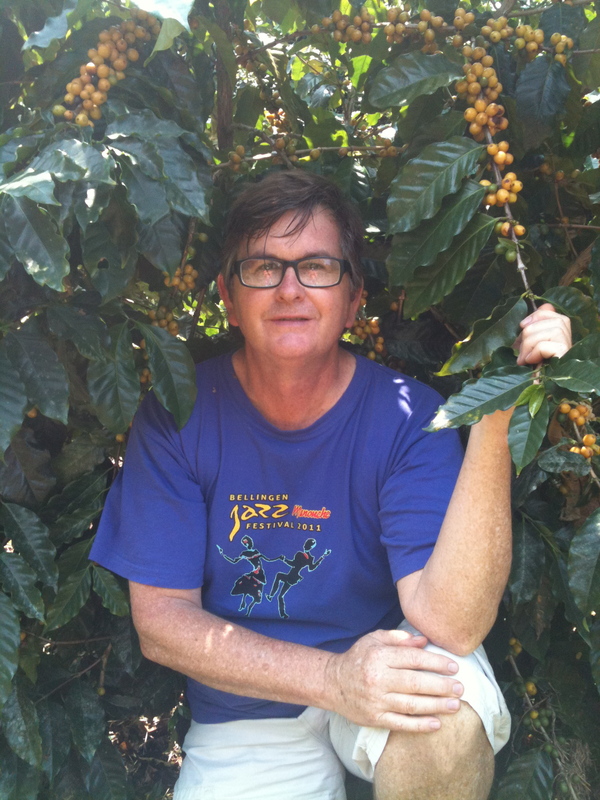 It is great that it is a Byron Bay coffee, because we live locally and I often call Robert when supplies are running low and organise to pick up a fresh roast at the Estate door. We know how much care goes into the preparation of the beans, but the real reason we use it is because we just love the smooth creamy taste. We have found that by pressing the air out of the bag before zip sealing the coffee and storing in a cool dark place, it helps maintain the freshness of the coffee to the last cup. Byron Bay is a great place to holiday and if you have the time, you can experience how a Australian coffee plantation works. Visitors this year have helped hand pick our organically grown coffee.Participated in a final sorting of the fruit before pulping. Some saw our beans being fermented in rainwater while others, washed the fermented beans and laid them out on our drying beds, to let the sun finish the process. 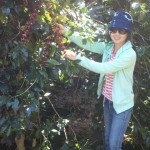 Cathy from Taiwan spent 2 days hand picking Australian grown arabica varieties at Ewingsdale Coffee Estate. 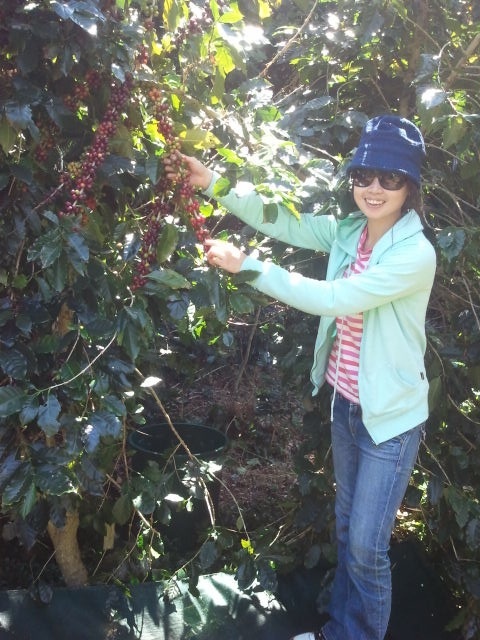 As a trained barista and being involved with a coffee business back home, Cathy wanted to see how an Australian coffee plantation worked. We were only to happy to let her help out. 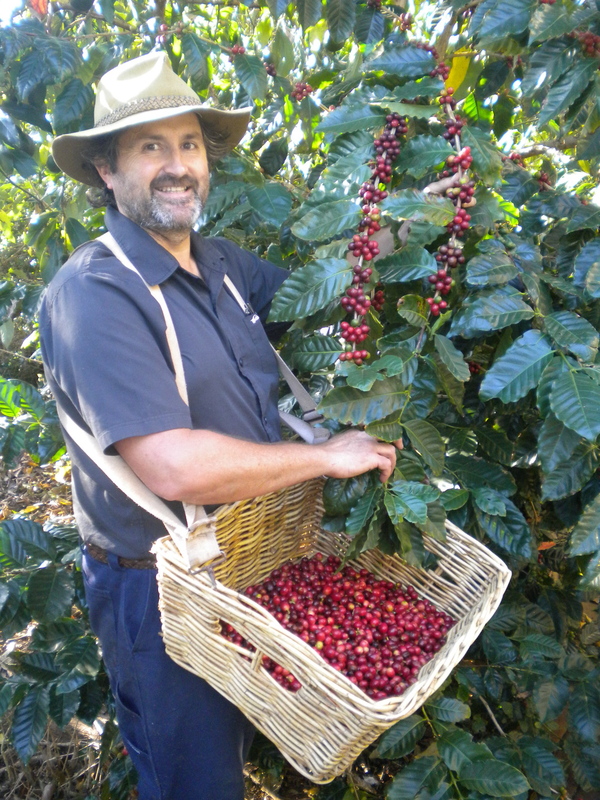 Chris took time out in his busy schedule, to help out with harvest for a few days during recent school holidays.Chris runs the market stall on the Mid-North coast town of Bellingen (3rd Sat of every month), selling Ewingsdale coffee. If you live in the area, visit the market and grab yourself ” Byron Bay’s finest hand crafted coffee”. If you are running low on supplies, ring 02 6655 2361 and Chris will do his utmost to keep your pantry full of Ewingsdale coffee. On his way back from a recent Rugby test in Brisbane, Matt dropped in and helped process the days harvest. Grown in Byron Bay, processed and roasted locally. Ewingsdale Coffee has found a new convert. Look for a pod coffee machine for sale on Ebay. Why buy coffee that is flown halfway around the world, when you can buy organically grown beans, save the environment and support an Australian grower ? 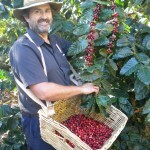 Harvest time 2012 at Ewingsdale Coffee Estate.This season at Byron Bay is shaping up as bountiful harvest with record amounts of beans being picked by all. Our Australian grown Arabica coffee beans are hand selected, fermented in rain water and sun dried, so that you can enjoy a great coffee any time of the day. Not sure which blend to choose? Try our Bonus packs. Plunger grind, Espresso grind or Whole beans. The Bonus packs contain 2 x 500g blends and a free 200g variety for you to sample. Then you can decide which Ewingsdale Coffee you prefer. Australian Plunger Coffee At The Markets. You probably won’t remember us, but we met you at Byron Bay market about two months ago during our extended visit to Australia. You were kind enough to take the time to tell us about your coffee growing and production, and about your British origins. 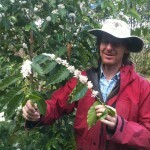 It was a delight to meet a real coffee grower who obviously takes a pride in his work and in his product. We have just opened our pack of Ewingsdale Plunger Grind Byron Bay Blend, and are enjoying every cup! A really good coffee, with – as you said – no bitter after taste. 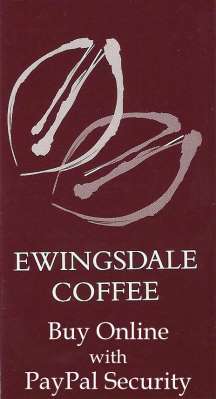 Thanks again for taking the time to talk to us, and all possible success for Ewingsdale Coffee Estate. 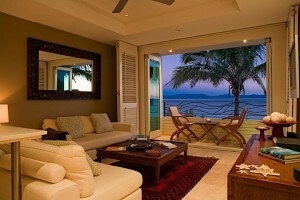 Wish we lived a little nearer!! 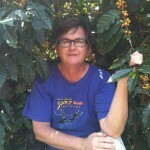 My wife and I have been using Ewingsdale Byron Bay Blend coffee for around 5 years now. We used to buy the pre ground for use in a plunger and would often go to the local community markets at Byron Bay and Bangalow when our supply of Ewingsdale coffee was getting low. At times I would call and arrange to pick up a freshly ground packet at the Estate door. Since buying a grinder, we now just use whole beans and it has become our daily morning ritual to grind the beans and brew a fresh pot of coffee – plunger style, when we awake. It is great that it is a locally grown coffee and we know how much care goes into the preparation of our Byron Bay blend of beans, but the real reason we use it is because we just love the smooth taste. Posted in Media Stories	| Tagged australia coffee, australian coffee, australian coffee supplier, australian grown coffee, byron, byron bay, coffee beans, markets, Plunger coffee	| Comments Off on Australian Plunger Coffee At The Markets. At the Watermark resort situated on Byron Bay’s famous Watego’s beach, Ewingsdale plunger coffee has proudly been selected in a welcome basket of locally produced goods for you to enjoy. An Australian grown coffee bean, roasted and blended, then ground coarse for use in a plunger appliance,( one in every apartment). Making a coffee with our Estate Blend is a perfect way to start the day. Rich aromas and caramelised notes create a smooth drinking experience, with no bitter aftertaste. Visit the Watermark Resort website and book your next stay knowing that a local Byron Bay grown coffee awaits you upon arrival. Ok thanks for letting me know – hopefully I won’t run out before then!! 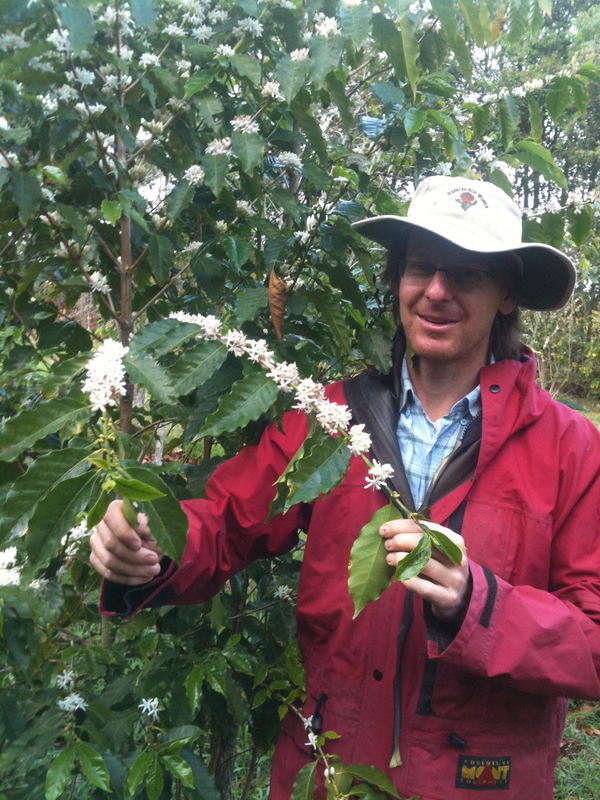 I heard about Australia growing coffee beans on the ABC radio recently. I didn’t know there was any! So them I Googled it. I think, it might have been on the Sunday morning show, but I’m not certain. Anyway, I usually purchase an organic coffee that is locally roasted, but thought I’d give this a try. Looking forward to trying it and supporting an Australian grown bean! 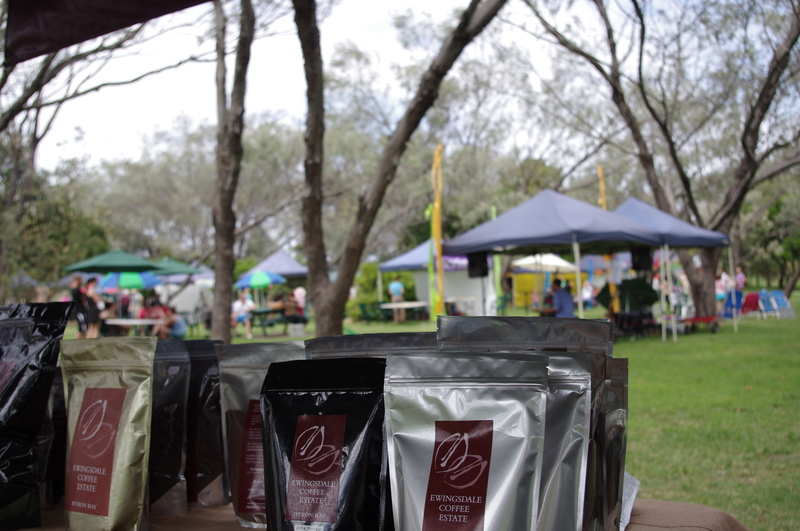 On Sunday, May, 27 we will be setting up our Ewingsdale Coffee stall at Bangalow Markets selling 100% Australian Grown Coffee. We will have our two new varieties for you to buy. Our 100% Dark Roast , for lovers of the ‘European Style’ of coffee (whole beans), and our ‘Cafe Blend’ , a blend two roasts that delivers a full bodied drink with no bitter after taste. Sold in whole beans, ground fine for espresso machines or stove top appliances and ground coarse for use in plungers. 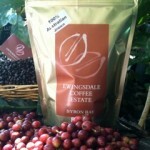 Ewingsdale coffee is locally grown in Byron Bay, freshly roasted, and packed. Come and visit us in Bangalow, “The best community market in the whole of the Northern Rivers”. You can now visit our Mid North Coast market stores at Bellingen (Sat) and Coffs Harbour (Sun), on the 3rd weekend of every month and buy Ewingsdale Coffee. for use in machines or stove top appliances, and a coarser grind (plunger grind)for those who like plunger style coffee. With now four varieties of blends to choose from. Visit our market store and let Chris take you through each style. From a dark roasted ‘continental style of bean’ right through to our lightly roasted ‘ Byron bay Blend’. Support Australian Grown produce and buy local. A loyal customer now buys our coffee online. 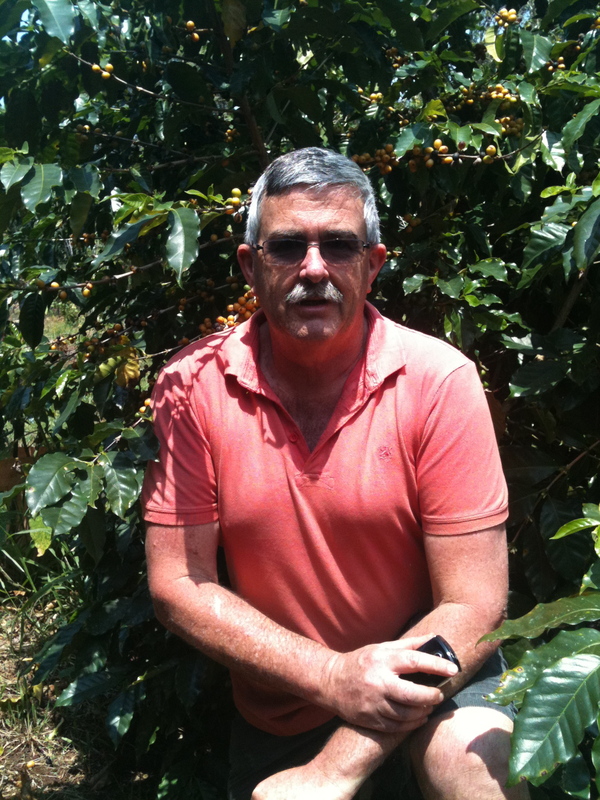 Had a long and very interesting chat with the original owner who planted the coffee trees at Ewingsdale, at the Bangalow markets, loved that is was Australian Grown and learned that Gary the East Lindfield butcher was selling it in Sydney. I think I prompted him to start supplying it again in Sydney. Anyway, there were no beans at the butcher yesterday so I decided to come to you direct and buy online.